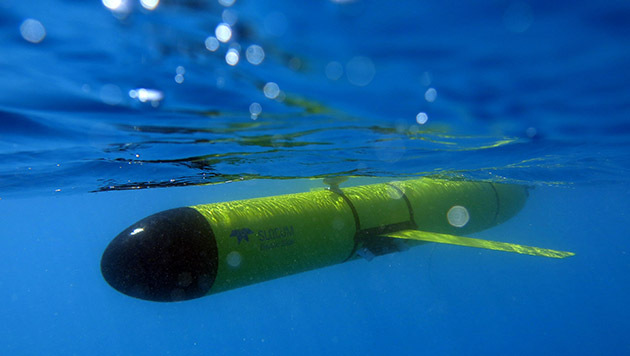 BIOS researchers launched their new glider Anna directly into the path of Hurricane Gonzalo for a rare look at hurricane dynamics below the sea surface. 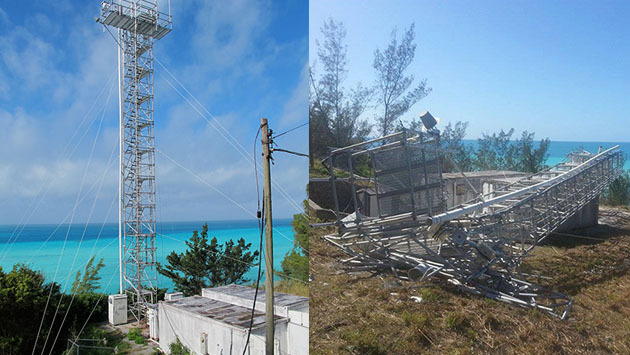 BIOS’s Tudor Hill Marine Atmospheric Observatory was dealt a serious blow by Hurricane Gonzalo in October. 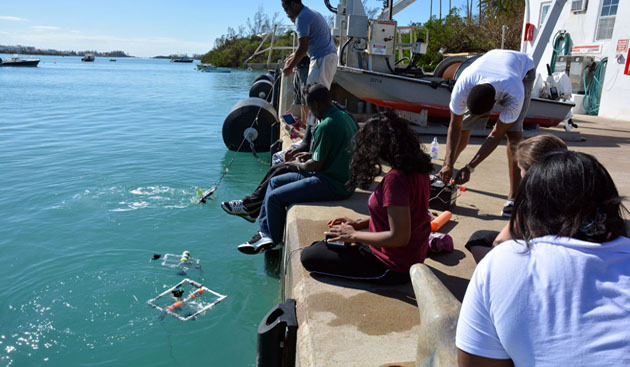 Sixty primary and middle school educators from the Bermuda Union of Teachers came to BIOS to participate in a professional development workshop focused on marine robotics. Thursday, December 11th, 7:30pm at BUEI. 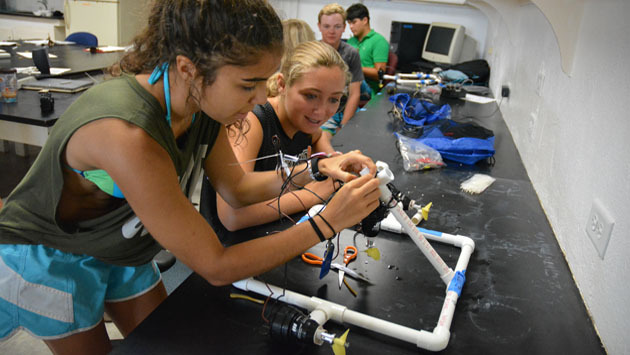 Last week the BIOS education team proudly accepted the TechAwards14 “Most Innovative Youth Project” for Ocean Academy’s HSBC Explorer program. 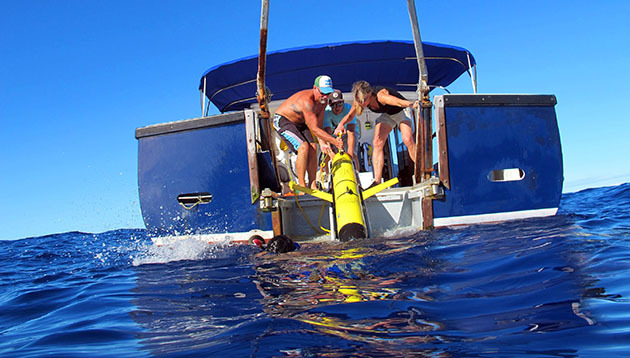 The team sincerely thanks the Ministry of Education and Economic Development, and the sponsors of Ocean Academy.